Surrounding low-lying areas of the Red River, its tributaries, marshes and delta system, and the south basin of Lake Winnipeg, in our District are highly susceptible to shoreline erosion. As such, when working in low-lying areas, or within 350 feet of these water systems, special consideration is required of development permits. 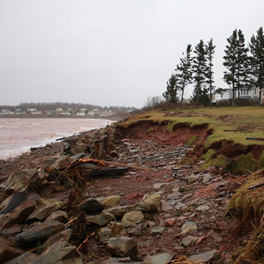 For all shoreline development Shoreline Erosion Permit is required. Status of Title - Our office requires a current copy of your status of title before any building or structure may be placed on the property. The status of title must be current within 30 days of making application and can be obtained from the Winnipeg Land Titles Office at 276 Portage Avenue, Winnipeg MB or by calling 1-844-737-5684. Plan Review Fee - A plan review fee must accompany all applications. Residential and Commercial Plan Review fees will be applied against the final cost of the permit upon issuance. Plan Review fees are non-refundable. If the permit has not been issued within 6 (six) months of application date, the application is void. Payment options are debit, cheque or cash. Letter of Authorization (Required if someone is filling out the application on behalf of the owner) Letter of Authorization - An authorization letter gives a third party permission to act on the owners behalf. In the event that the owner is not making the permit application, the owner will need to draft a letter providing the name of the persons authorized to make application for required development permit for proposed work to be completed. Letter must be signed and dated. The Red River Planning District Website is hosted and maintained by Data Tracker Ltd. - provider of database development services, website design and web hosting from Winnipeg, Manitoba, Canada.